It's the weekend and we're certainly ready for it! We've got a low-key one in store, with a few plans sprinkled in here and there. And for those of you in the Northeast, we're hoping that you stay warm and safe during the coming storm. Have a great one, y'all! 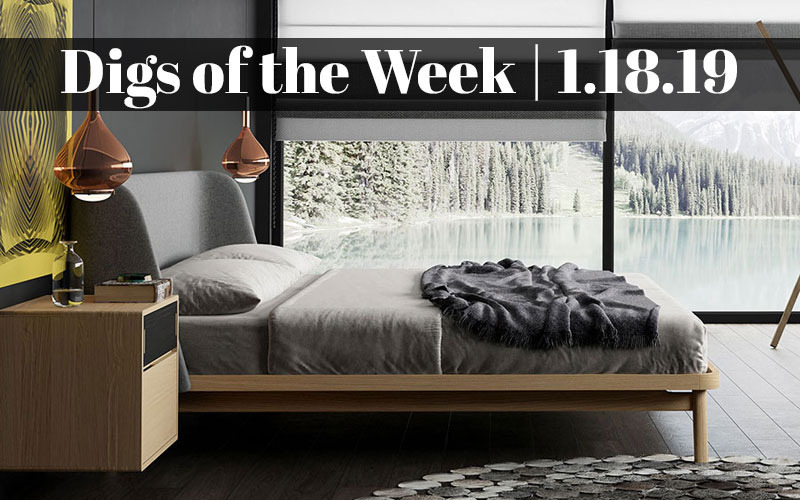 Or maybe you can start planning a home refresh with these 2019 decor trends in mind! January is the best time to take a design risk according to this article. You can start by finding inspiration on Pinterest and then go from there. Personally, the blend of modern and boho styles in this Albuquerque home is just right for me. Since bathrooms are small spaces, they're perfect for big statements. Perhaps these backsplash ideas will help to get you motivated. Or you can choose a paint color based on your state. Any thoughts? If all else fails, just ask yourself, "What would Taylor Swift do?" See all of her amazing homes here!